Common misconceptions exist among designers, architects, and code officials regarding multiple buildings on the same lot, additions to existing buildings, and fire separation distance. 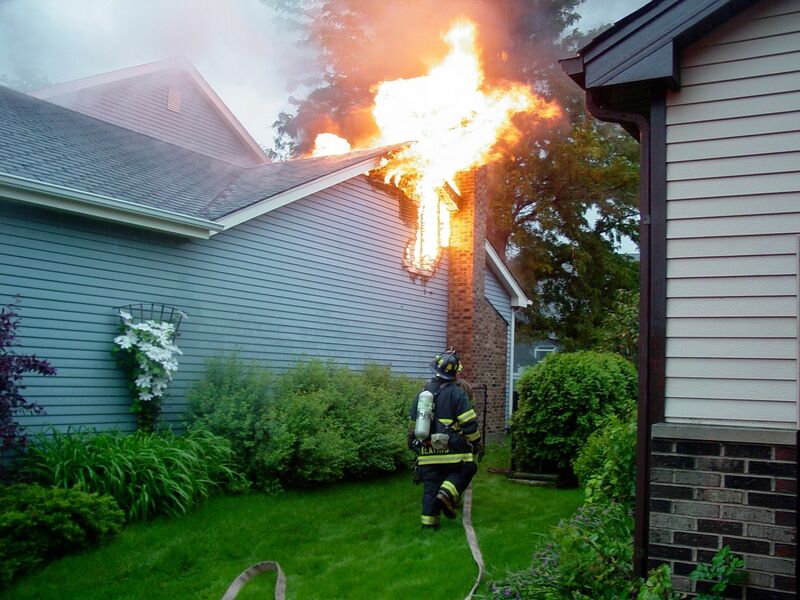 Frequently, incomplete consideration is given to fire separation distance and allowable openings, or these professionals believe an arbitrary distance (such as 10 feet) is required between buildings. Generally, the issue is brought up when an addition is proposed to an existing non-sprinklered building where the additional square footage would require the building to be sprinklered. In order to avoid sprinklering requirements, the designer contemplates creating a second building in close proximity to the existing building and asks, “How far apart does the new building need to be from the existing building?” Alternatively, the same question arises on ground-up developments where multiple buildings will be created rather than one large building, either to avoid sprinkler requirements or for architecturally-desirable reasons. For the purposes of determining the required wall and opening protection, projections and roof-covering requirements, buildings on the same lot shall be assumed to have an imaginary line between them. Where a new building is to be erected on the same lot as an existing building, the location of the assumed imaginary line with relation to the existing building shall be such that the exterior wall and opening protection of the existing building meet the criteria as set forth in Sections 705.5 and 705.8. Two or more buildings on the same lot shall be either regulated as separate buildings or shall be considered as portions of one building if the aggregate area of such buildings is within the limits specified in Chapter 5 for a single building. Where the buildings contain different occupancy groups or are of different types of construction, the area shall be that allowed for the most restrictive occupancy or construction. Exception 2, which specifically deals with parking garages and residential occupancies, has been excluded for this topic. Note that IBC Section 705.3 refers to sections 705.5 and 705.8, which subsequently refer to tables 601, 602, and 705.8. From these sections, we can see there are a number of criteria that dictate the required distance between buildings. However, the key is that if multiple buildings are to be treated either as separate buildings (and thus avoid sprinklering requirements) or as one building (and thus avoid opening limitations), both new and existing buildings must comply with IBC 705.3. Commonly, designers and code officials focus on the distance between the two buildings, where they should instead focus on the distance to the imaginary line, treated the same as an interior lot line, between the buildings. The location of this imaginary line is not required to be halfway between the buildings in question; its location and configuration are determined by the design professional. Once the location of the imaginary line is determined, its location is fixed. In other words, the imaginary line cannot be in one location when determining opening protection requirements for one building and then moved to a different location to determine opening protection requirements for another building, as this defeats the purpose and intent of how fire separation distance is determined. Regardless of the location the design professional chooses for the imaginary line, all buildings on the lot must comply with Section 705.3 and sub-references. Depending on the fire separation distance, degree of opening protection, and percentage of openings, the distance required between buildings on the same lot can vary anywhere from 0 feet to 60 feet based on IBC Table 705.8. Because of this, the imaginary line (and distances from exterior walls to the line) must be delineated on construction documents just as a real lot line must be delineated so that a proper code analysis can be accomplished. This becomes especially important in phased developments where additional buildings will be constructed over a long course of time, or where a lot may later be subdivided and sold off. The decisions an architect makes in the design phase could hamstring where future buildings (and even carports) on the lot will be located, or it could impact the location of a real lot line in the future. By understanding the correct definition of fire separation distance and considering the full impact of 2015 IBC Section 705.3 and all included sub-references early in the design process, design professionals, and code officials can help developers and building owners understand the implications of having multiple buildings on the same lot, whether or not they are sprinklered, their proximities to each other, and what it may mean for future development.